If you have been living in a cohabitation arrangement, you may have questions about what is popularly called “palimony.” Under the law in the state of California, palimony works very much like alimony, or spousal support. Although partners who end a cohabitation agreement do not go through a divorce or legal separation, one party may still have to pay the other. Palimony is not a legal term – it is more precisely a media term, coined by Hollywood divorce attorney Marvin Mitchelson back in 1976 during the famous Marvin v. Marvin palimony trial. Palimony is the division and distribution of financial assets and real property upon the dissolution of a cohabitation relationship between parties who are not legally married. Twenty-eight states make some kind of legal provision for “palimony.” In the state of California, are cohabiting partners legally protected? The answer is “maybe.” If you are involved – or if you anticipate being involved – in a palimony case in southern California, it’s imperative from the start to obtain sound legal advice and aggressive, dedicated representation from an experienced Orange County family law attorney at the Bayati Law Group who can help you with through this complex process. WHY IS COHABITATION LEGALLY RISKY? When two people make the choice to live together or “cohabit” in the state of California, they may be placing their personal property and assets at risk unless they have in place a formal cohabitation agreement that precisely spells out each partner’s rights, responsibilities, and legal protections. To receive legal protection from the courts when a cohabitation relationship ends in California, you need to be able to produce some kind of a contract – written, oral, explicit, or implicit – that you can show or prove to a court if you need to receive “palimony” payments when the relationship ends. A cohabitation agreement is a legal document that is comparable in many ways to a prenuptial or postnuptial agreement, however the parties involved are not spouses. To avoid a legal dispute in the future, a cohabitation agreement should address precisely and specifically several key matters. What will happen to the home? Will “palimony” or other financial obligations be paid, and if so, how much and for how long? Determining who will pay and the amount that will be paid upfront is important to avoid issues. Remember, cohabitation agreements only discuss palimony issues, including financial support and property division. If children are involved in your separation, child custody, visitation, and support are not covered in these agreements. If you and your partner can draft a mutually acceptable cohabitation agreement with the guidance of an experienced family law attorney, you can both save yourselves time, money, and aggravation if the relationship splits apart. On the other hand, a failure to get the basics spelled in writing can leave you unprotected at the end of a cohabitation arrangement. An experienced Orange County family law attorney at the Bayati Law Group can help you and your partner create an enforceable cohabitation agreement or make modifications to an existing agreement that has the ability to protect both of you legally in the event of a split. In some cases, it will not be easy to win palimony payments, but many in California have succeeded with the help of an experienced family law attorney. The Bayati Law Group, based in Orange County, represents clients in southern California palimony cases primarily by making sure that all assets are properly categorized and valuated and by insisting that existing written and verbal agreements are honored and enforced. In California, the law offers you some legal protection, but you really must have a cohabitation agreement in writing. Usually, the first step in pursuing a palimony claim in this state is mediation. In many cases, a palimony agreement that is acceptable to both parties can be hammered out through a formal mediation process outside of the courtroom. If mediation fails, an experienced Orange County family law attorney with the Bayati Law Group may be able to take your palimony claim to trial and fight aggressively on your behalf before a jury for the justice you need and deserve. The jury may consider several factors when dealing with palimony cases, including the income of each party, whether both parties work, and the standard of living that has been established during the cohabitation. At the end of the trial, the court will issue an order that each party has to follow. HOW WAS PALIMONY ESTABLISHED IN CALIFORNIA? In the 1970s, actress Michelle Triola spent several years living with actor Lee Marvin, however she never became his spouse. After their breakup, Ms. Triola legally adopted the surname “Marvin” despite never having been married to Lee Marvin, and she claimed that Marvin had promised her she would be set, as he planned to support her for the rest of her life. In Marvin v. Marvin, the California Supreme Court ruled that non-marital relationship contracts may be legally enforced in this state. Such non-marital contracts may be expressed, implied, oral, or written, but what’s imperative is that a contact must be “provable” in court. California abolished common law marriages back in 1896, so the California Supreme Court considered Ms. Triola’s claim in the Marvin case as a breach of contract claim – more like a business law case rather than explicitly a family law case. However, the California Supreme Court also determined in the Marvin case that no contract had existed between Lee Marvin and Ms. Triola. Despite her request, Ms. Triola was awarded nothing by the justices of the California Supreme Court. But, the legal concept of palimony in this state was established. Palimony cases can often be lengthy, complicated, and emotionally charged legal procedures. Particularly when substantial assets are involved, and when evidence and testimony are apparently in conflict, you need a skilled Orange County family law attorney with substantial family law experience and a solid record of success in divorce and palimony cases. When you turn to the Bayati Law Group, you will receive sound, reliable legal advice and aggressive, dedicated representation. We often negotiate out-of-court palimony settlements, but when a settlement is not attainable in a palimony case, we will fight on your behalf at trial for the best possible judgment. Whether you need immediate legal advice and representation regarding an imminent or pending palimony claim, or if you are simply seeking legal guidance for the future, an experienced Orange County family law attorney at the Bayati Law Group is available to offer an assessment of your case and situation, to explain the full range of your legal options, and to help you make the appropriate legal decisions and take the right action for yourself and for your future. Every Bayati Law Group client and prospective client is treated with complete respect and is extended every possible professional courtesy. It is our policy to return every client phone call and email promptly. You can arrange today to speak with an experienced Orange County family law attorney regarding a palimony claim – or about any other matter of family law – by calling (949) 798-5700. You can also complete the form on the contact page on this site, which also includes a map of our office location and driving directions to help you get here. Schedule an initial consultation with one of our attorneys to get an overview of your legal options. 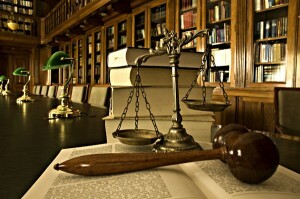 The Bayati Law Group represents clients in Orange County and throughout southern California.